By Alexis Leon & C.K.Thomas, Comdex Computer Publishing, 1995. If you are in search of a comprehensive book on DB2, your search ends here. 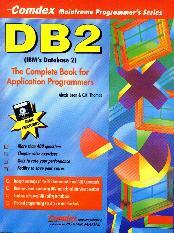 This book is a complete guide to DB2. The book starts from the very beginning and slowly builds the concepts of the relational management systems, SQL, etc. as it applies to DB2. The book gives tips on how to make you applications run faster and how to improve the efficiency of your SQL statements. The book includes a Question Bank which contains the most frequently asked interview questions. The companion floppy contains multiple choice questions and quizzes that help you in assessing your knowledge.